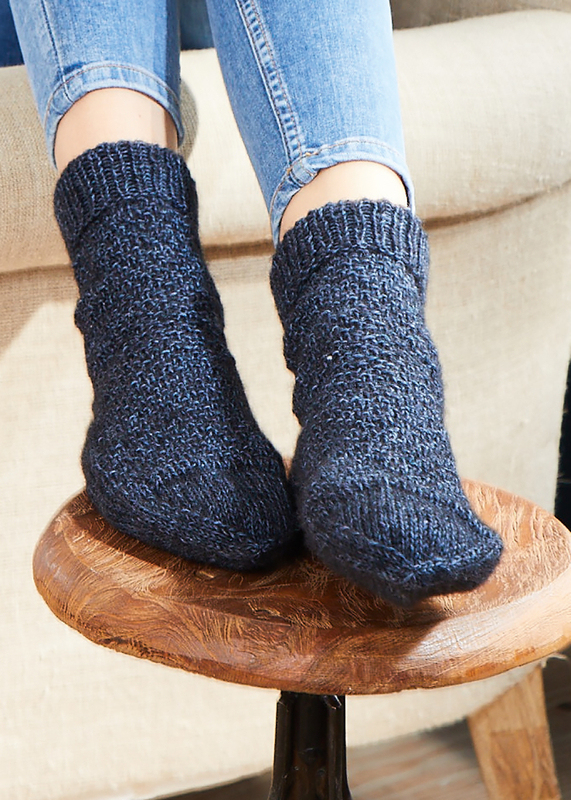 Subtle but still fantastically beautiful, these socks are knitted with REGIA PREMIUM Alpaca Soft in an adorable seed stitch. The beautiful pattern in combination with the lovely colors of the Alpaca Soft is a real eye-catcher. They are not only beautiful to look at, they also have a great Velcro, which makes them a real favorite on your feet. And the best part is that they get even softer and fluffier after washing. You do not want to take it off anymore, right?